Historically, advent calendars have featured winter or nativity scenes on paper calendars, and have been used to help count down the days leading up to Christmas. Over the years, they transformed from simple paper into little fabric pockets or wooden boxes that featured cubbies to hide little treats – and added bonus while anticipating the holiday. 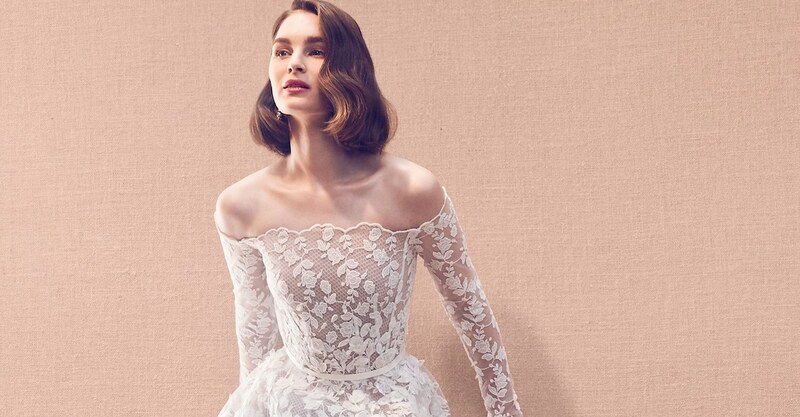 In the modern gifting era, this tradition has gone all out: now there are box sets that compile luxury beauty, gourmet food, toys, and craft treats to help you celebrate the exciting time of year. Below, we’re rounding up the most creative and easily giftable advent calendars of the 2018 holiday season to give you some serious inspiration. The classic treat you expect to find behind your advent calendar’s door? A smooth bite of milk chocolate! 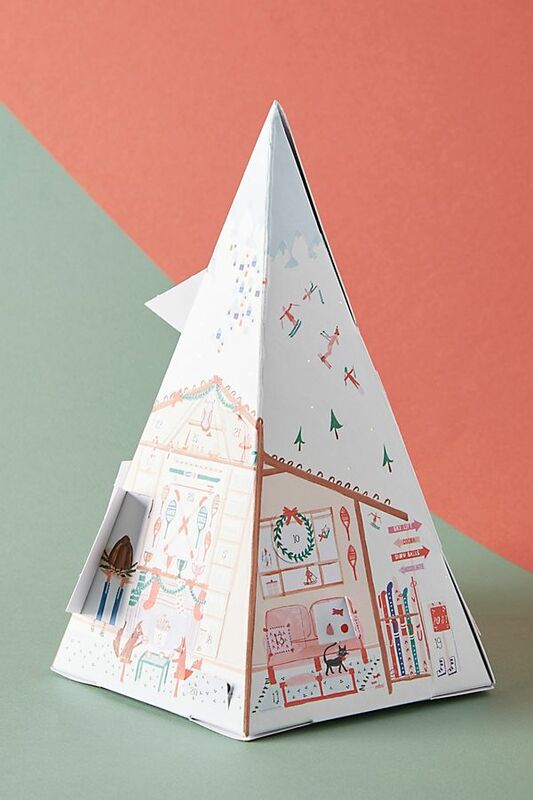 Over the years, these paper houses have evolved to become decorative pieces worth displaying in your home all December long. This season, we’re loving the German-made option in the Heileman Victorian House, where there’s a fun-shaped candy waiting for you behind each of the building’s 25 doors. 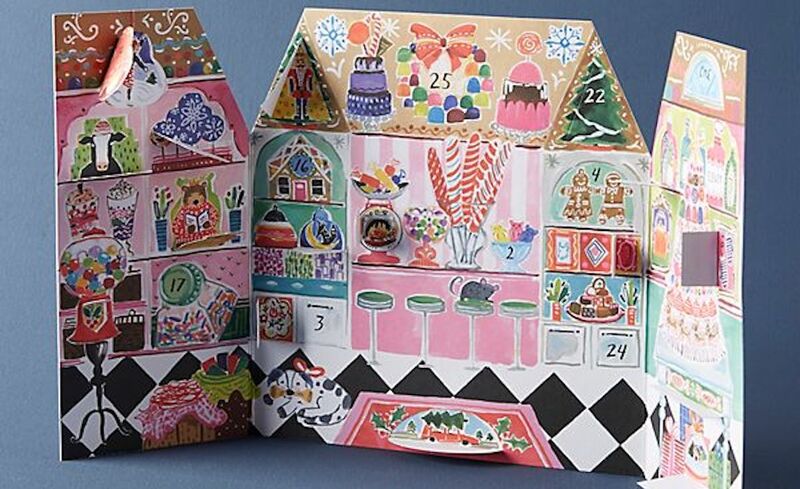 Beauty advent calendars are a huge trend sweeping the industry right now, and they just keep getting more incredible each holiday season! To treat yourself (or a loved one) to a new haircare product, perfume, face mask, lip gloss, nail polish, deodorant, or other beauty surprise daily, check out the luxe collection from Space NK. This box is packed with $650 worth of products from top brands like Sunday Riley, By Terry, Rodial, Diptyque, Dr. Dennis Gross, Tata Harper, Eve Lom, Hourglass, Kevyn Aucoin, Malin+Goetz, and more. So, makeup is your number one obsession, huh? We totally understand the impulse that calls you to shop a new lip gloss, eyeshadow palette, or mascara on the daily – even if you’ve already got plenty in your stash. But since it’s the holidays, we’re encouraging daily beauty treats by introducing you to this festive makeup calendar, with NYX‘s annual box. 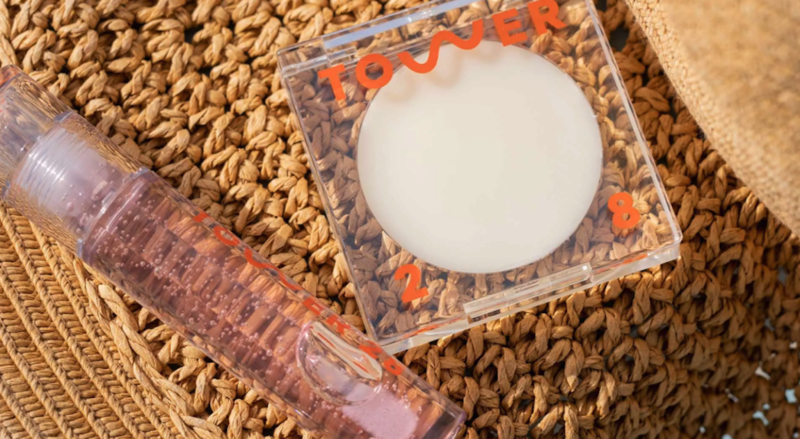 The 2018 edition is called Sugar Trip, and it’s filled with 24 new shades of lip color, eyeshadow, and highlighter in the brand’s fan-favorite formulas. All together, it’s a $110 value – so you can tell yourself you’re saving while splurging. When winter weather hits, your skin may be feeling its effects immediately. Make sure to combat dry, flakey skin by treating yourself to some luxurious new skincare products. 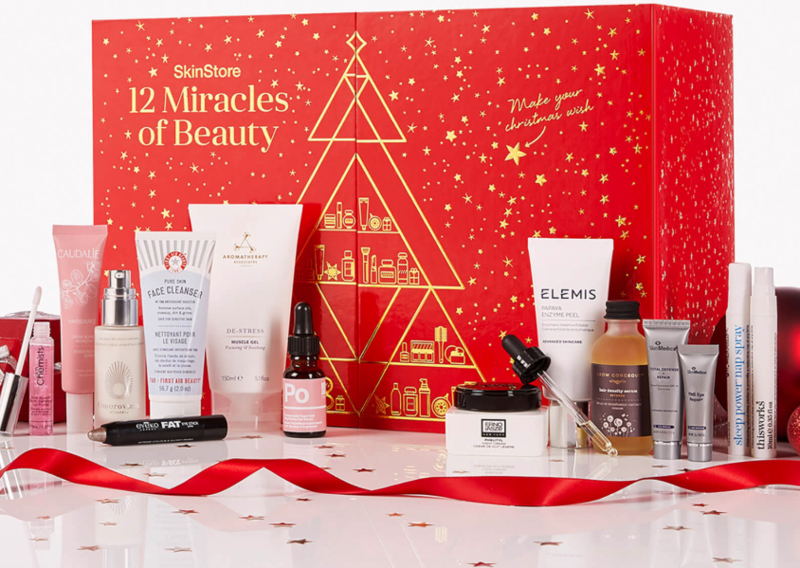 If you’d like to spread out the treats, we suggest investing in a fun product-a-day box like the 12 Miracles of Beauty set from SkinStore. This box is packed with over $340 worth of beauty products like peels, cleansers, creams, aromatherapy, and more from premium brands like Caudalie, Elemis, Erno Laszlo, First Aid Beauty, Eyeko, SkinChemists, and others. Winter time is the perfect opportunity to warm up with a relaxing cup of tea. 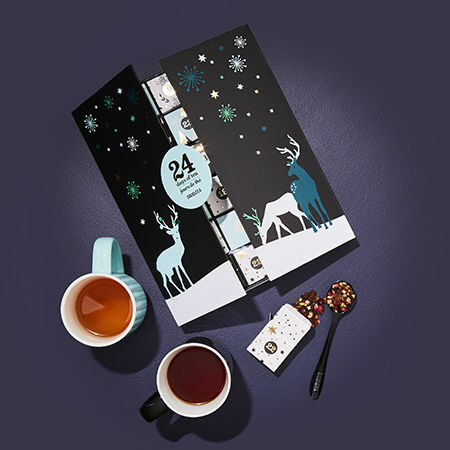 If you want to expand your drink horizons this season and test out a new cup daily, might we suggest an advent calendar box filled with loose leaf teas? The David’s Tea 24 Days of Tea box is composed of mini boxes (that double as ornaments!) packed with two servings of each flavor. We don’t want to spoil the entire box for you, but this one includes tea flavor options like Apple Cider, White Cranberry Bark, Cinnamon Rooibos Chai, Fireside Mocha, and oodles more. 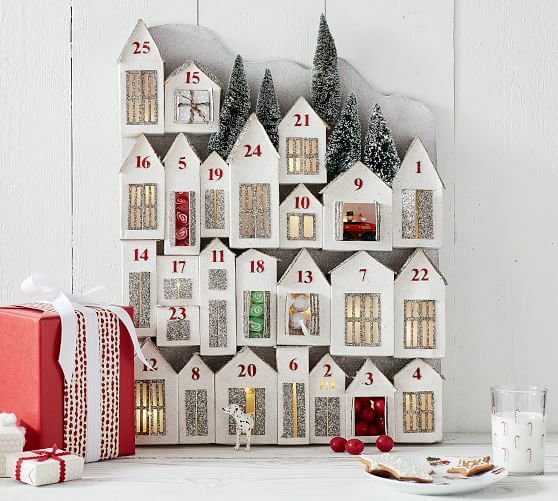 Want to invest in a decorative piece that you can re-use each advent season? 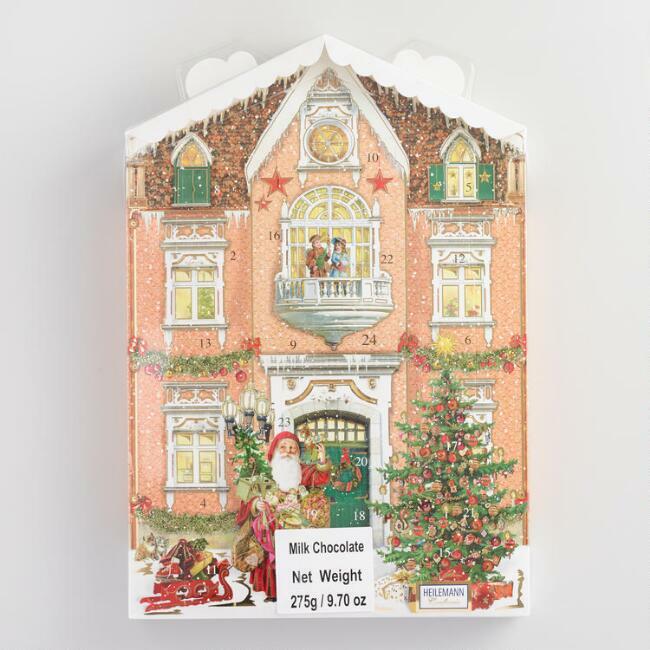 The 25 doors in this cardboard wintry scene from Pottery Barn can be stocked up with notes, candies, or small toys for all the little ones in your family. Plus, with 3 AAA batteries, it actually lights up from within – making it a statement piece for your shelves on those blustery, snowy nights in. Is your favorite thing about Christmastime the magical decorations? This festive, decorative, tree-shaped piece from stationery and gifts shop Mr. Boddington’s Studio in Brooklyn brings all the charm of the season to life through unique illustrations. Each day of the season, you open up a numbered flap to reveal a special scene. Do you need more than 20 new nail polish shades in your Christmas stocking this year? You do if you plan on changing up your manicure for every holiday party you have coming up! 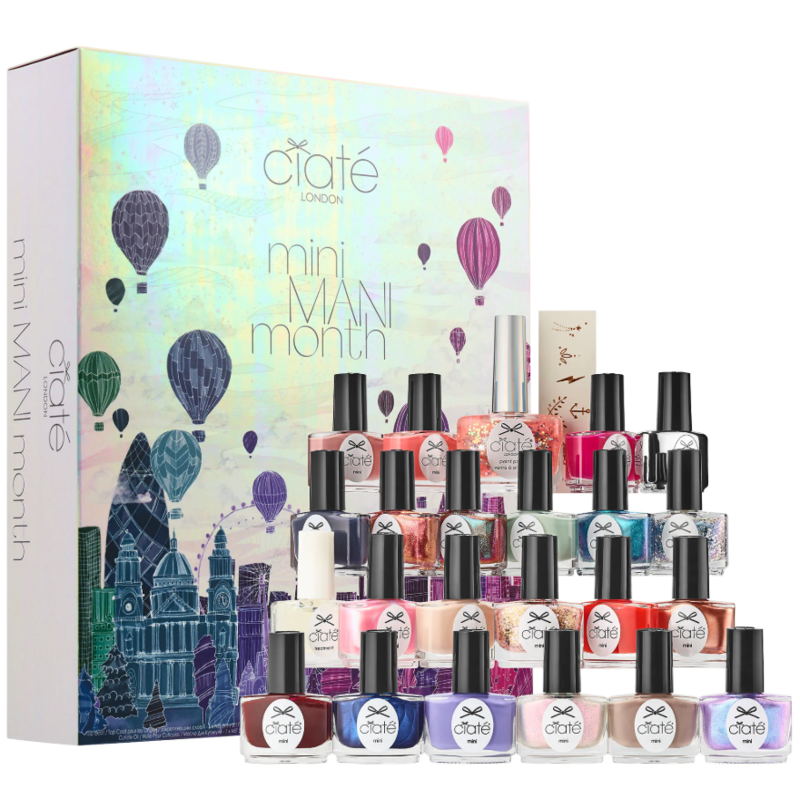 The Ciaté London Mini Mani Mouth Nail Set comes with 20 mini nail varnish shares, plus one full-size polish, a mini nail treatment and top coat, and two sheets of nail transfers. It’s all worth $25, and is so much fun to look forward to! If your festive holiday parties are all about wine and cheese pairings, then you will surely love indulging in So Wrong It’s Nom‘s collaboration with Norseland, Ilchester. Included in this box are 24 individually-wrapped cheeses in seven varieties. What a delicious countdown to Christmas! 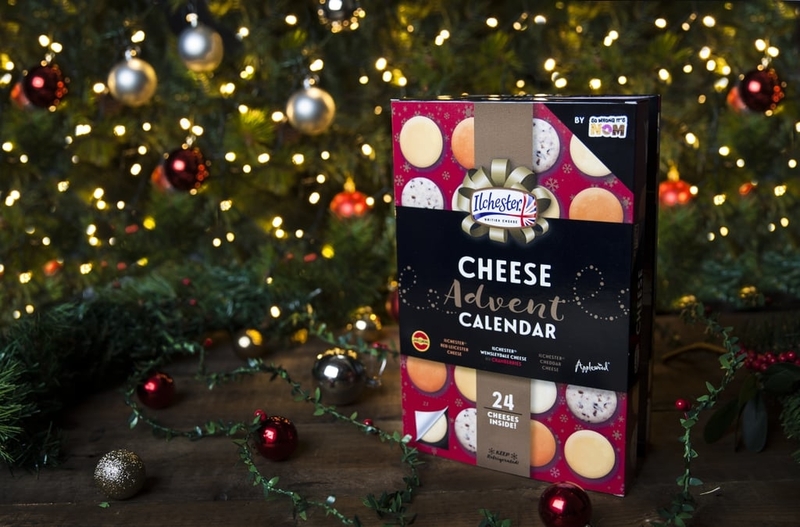 These refrigerated Cheese Advent Calendars will be available in Super Target stores in the US; Asda, Sainsbury’s and Booths stores in the UK, Carrefour supermarkets in France; Co-op stores in Denmark; and Continente stores in Portugal at the end of November 2018. If you love testing out tons of new fragrances, treat yourself to a mini new one each day leading up to Christmas! The Atelier Cologne Discovery Advent Calendar is packed with scents like Rose Anonyme, Pomélo Paradis, Bergamote Soleil, and Orange Sanguine. In addition to the perfumes, this box also contains bath and body treatments like shower gels, lotions, and more. More holiday gift ideas to try out. More festive Christmas party ideas.